Games are more upbeat and intense than traditional lacrosse which directly benefits skill development. Open to boys in the 3rd thru 9th grades - Players are assigned to teams by the school they attend. If your school does not have a full team, players from the same school are kept together & are assigned to teams by the positions they play. Athletes are placed in the division that best suits their age and playing ability. Each division plays for a Championship on Sunday, Sept 30th! Teams play locally the first three Sunday's then all teams from all locations play at Elon Park on the final Champions Sunday, September 30th. 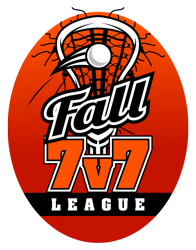 Cost: The 7 v 7 registration fee is $225 per player. This includes expert instruction, 8 game season, 7 v 7 Fall League Reversible for each player. Where: Sessions will be at WCWAA's Optimist Park, 5211 Weddington Rd, Weddington, NC 28104. Sessions will be held on the turf field. All players are required to have their own lacrosse gear.